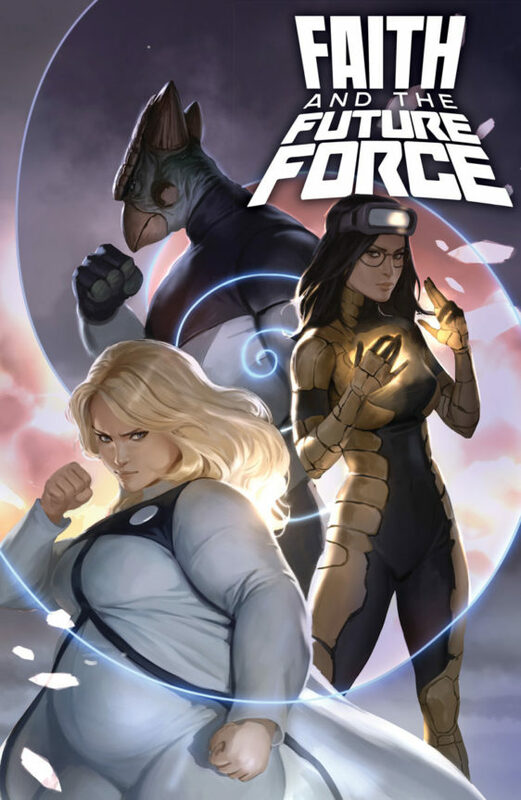 We're entering Edge of Tomorrow territory with 'Faith the Future Force' #2 as Faith and Neela try and fail to put an end to a history-killing machine. Time to reset the timeline one more time and let the Renegades do their thing. If you notice that history keeps repeating itself that's part of the point. Just as it was in Edge of Tomorrow and Groundhog Day, the team has to get it right to save history as we know it. Jody Houser (Faith) keeps it fast paced and urgent with Faith leading the way. Houser has always understood Faith in only a way a writer could, being the conscience, the soul of the character and conveying the humanity and bravery we see on the page with every issue. Here, she feels responsible for bringing the team together so she takes the lead and faces whatever danger they might face as they land in Athens, 360 B.C. Having died once already, Faith brings the Renegades into the fight and the eerily quiet scene they come across in Athens becomes unnerving. Before they arrived there were only captions of something reciting Plato as dead bodies covered the courtyard. The mindless machine was just exterminating them and it was up the team to stop it but how? As deadly serious as the situation may be the joy in seeing Faith, Neela, and the Renegades together is expressed through some great natural dialogue and character moments. It's quite the feat for Houser considering how quickly the issue reads. It's another reset in hopes they can put an end to this killing machine once and for all. It's still fun and surprising and you'll wonder as I did what exactly will it take to stop this robot. The art team of Barry Kitson, Diego Bernard, Juan Castro, and Ulises Arreola take a team approach too. They handle different art from different time streams just enough to differentiate from each other. There's plenty of fluid action and the layouts are composed well. It's really a showcase for the colorists as the action dictates plenty of chances for explosions of colors. 'Faith and the Future Force' is a great summer read that follows its own time travel rules as the mission to stop the history killing machine requires a re-do. So far, each issue feels familiar and new as each attempt demands a new tactic and more firepower. Stories like these are more about the journey than the conclusion and so far it's a blast (from the past? ).